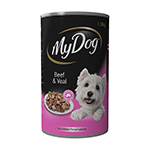 Buy My Dog dog food online at Pet Circle and enjoy the convenience of delivery straight to your door, always at the best price – or we'll beat it. 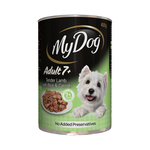 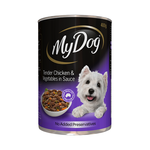 Ideal for dogs with sophisticated tastes, My Dog offers your precious pooch a range of delicious flavours and textures for added variety in his or her diet. 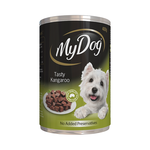 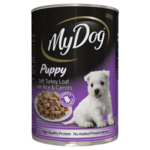 With tempting formulas that are complete and balanced to meet the nutritional needs of your beloved canine companion, from puppy through to senior, there's sure to be a My Dog recipe to suit your little mate. 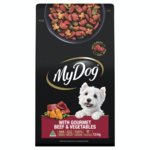 On top of their delicious menu of flavours, My Dog also makes 100% complete and balanced dry food, so that your dog can get a variety in their diet. 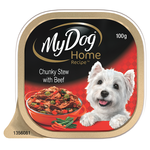 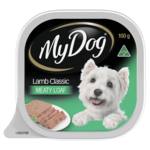 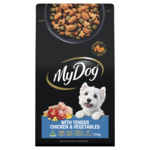 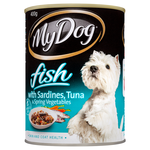 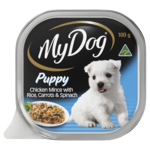 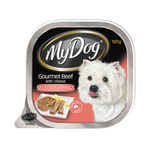 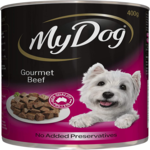 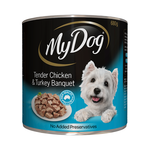 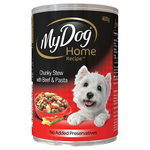 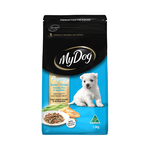 With flavours of prime beef, roast chicken and more, My Dog will be loved by pooches all over.